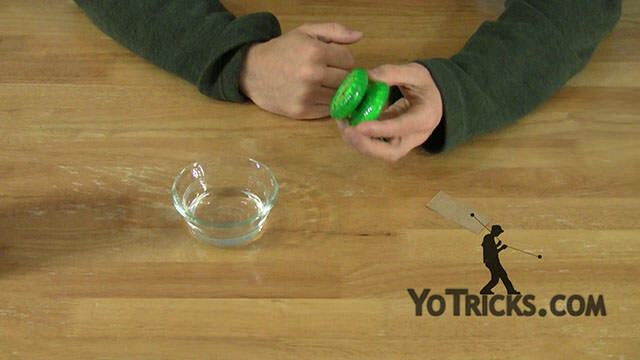 Learn how to turn your Luminator into an unresponsive yoyo. In this video I am going to teach you how to setup your Luminator for unresponsive play. A lot of guys, when they talk about one-handed yoyoing they mean unresponsive one-handed play exclusively. A lot of guys they never use their one-handed yo-yos in a responsive way which is how we show a lot of our yo-yo tricks. When you buy a Luminator it is setup for responsive play but this modification that I am going to show you is very easy and then you can use this for all the other kinds of tricks, the unresponsive tricks that a lot of people are doing these days. 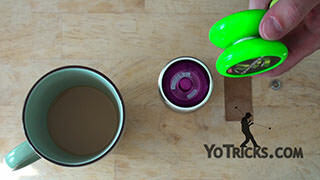 When I show yoyo videos on YoTricks I may mix some non-responsive tricks in with the string tricks and you will always know the difference because I will be using this green yoyo with the blue caps for unresponsive tricks, or tricks that are easier to learn with an unresponsive yoyo as opposed to the red yoyo with blue caps that I use for most of the other tricks. And you can tell from the videos as well if there’s certain elements – you can start to get a feel for which tricks are done in a non-responsive way. In this video I am going to teach you how to setup your Luminator for that. You are going to need your Luminator. You are going to need some Mineral Spirits. This is what I have been using. You can usually get this in the paint section of a lot of different stores. That is what we are going to use to clean the bearing. You will also need some ultra-thin brake pads. These brake pads, they are clear, which is why is looks like I’m just holding a piece of paper, these are made out of silicone, and we just found that these work really really well with the Luminators and so these are the kind that we have in our store right now. There are different brake pads that are this size and this thickness. We have tried a couple and these are what we like the best. If we find some others that we like then those will be in the store as well. The mineral spirits, you want to make sure to put that in a glass container because it is corrosive to plastic. I have found that glass is really easy to work with so if you can find one of those… and I also, when I set this up, I usually have a toothpick and a paper towel to help me fish the bearing out of there. The first thing you are going to want to do is take your Luminator apart. You are going to want to take the bearing out and you are going to want to drop it right into the mineral spirits just like that. Sometimes I will take my toothpick and just move the bearing around just to make sure the mineral spirits are really getting in there. What this is going to do is it is going to clean out all of the grease and anything else that might be in the bearing that’s in there. So that is what it is in there for. Normally I let it sit in there for about an hour. Obviously in this video I am not going to do that. That is the right amount of time. Maybe half-way through you can use your toothpick to just flip the bearing over to make sure that the mineral spirits are getting all the way through it. For the most part you can just let it sit in there. Once that is going you are going to want to take your Luminator and you are going to want to take these brake pads off. I have showed you how to do this in a different video so I am just going to do that with one half. You are just going to want to push it away from the side of the yoyo there. You want to pinch it and pull it off very slowly. That will help to get all the glue off the bottom as well. If you pull it slow enough then the entire brake pad will come off in one piece. You can see it is very easy like that. Get rid of those. And now you want to take your new brake pads and just peel them right off this card here. That can be somewhat of a challenge sometimes, but it is never too hard. There we go, and we will pop out the center. These will fit right into the same brake pad recess as the other brake pads that you just took out. You may find when you put these in, they might stretch a little bit. While you are pulling them apart or trying to stick them in there. It may fold over onto itself at one point. I don’t think that you can probably see that in this video, but that doesn’t really seem to affect play. Once you get it in there just push it all the way down and it will be pretty flat and that will be good enough. Of course you want to do the same thing with the other side. 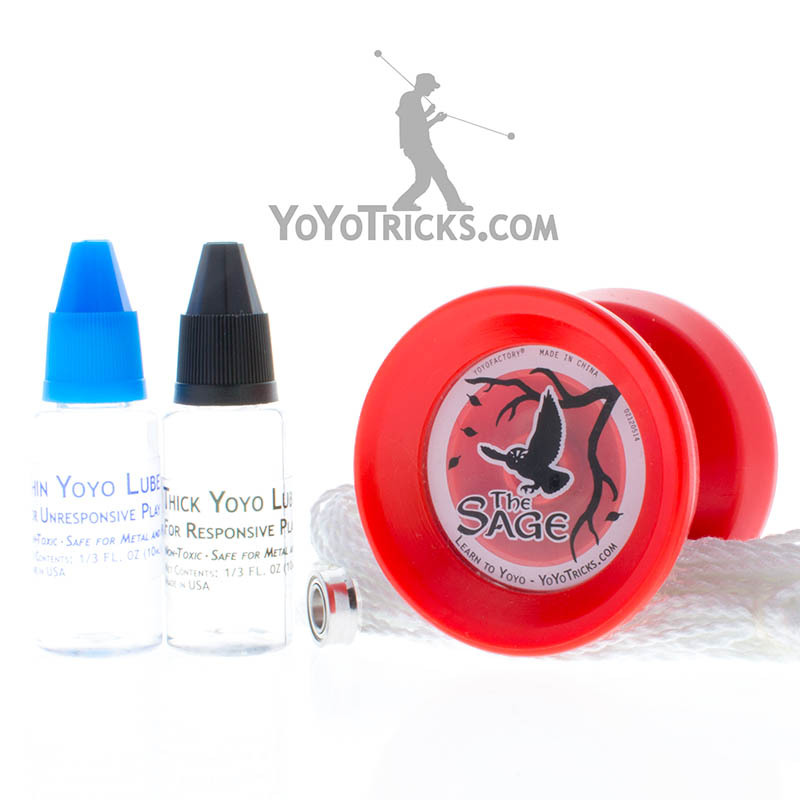 If you are going to be doing unresponsive play, I also recommend including in the side of the yoyo which you can also get in our store, we have another video about how to put those in. Unresponsive play is about getting ultra-long sleep times, and so this will help your yo-yos sleep a lot better if you do that. Once you have the brake pads in and once the bearing has been in the mineral spirits for about an hour just take your toothpick and fish it right out. I put it right on a paper towel. And you want to get as much of that out of there as you can. So I just fold it over and sometimes I even shake it around a little bit. That gets the majority of the mineral spirits out of there. Do it a couple of times. Another thing that I do is I let it sit for another hour which will allow the rest of it to get out, because, like I said, it can be corrosive to plastic so you want to make sure that that is completely dry when you actually put it right back in your yoyo. 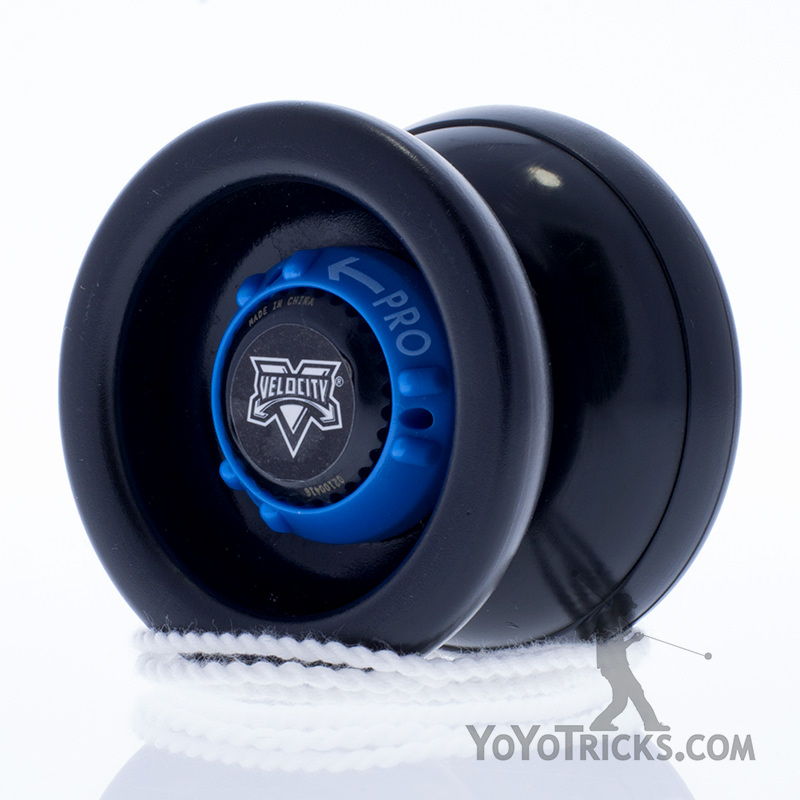 Once it is all dried up, after about an hour you can put it right back in your yoyo. Put it right back together, and your yoyo should be ready for unresponsive play.